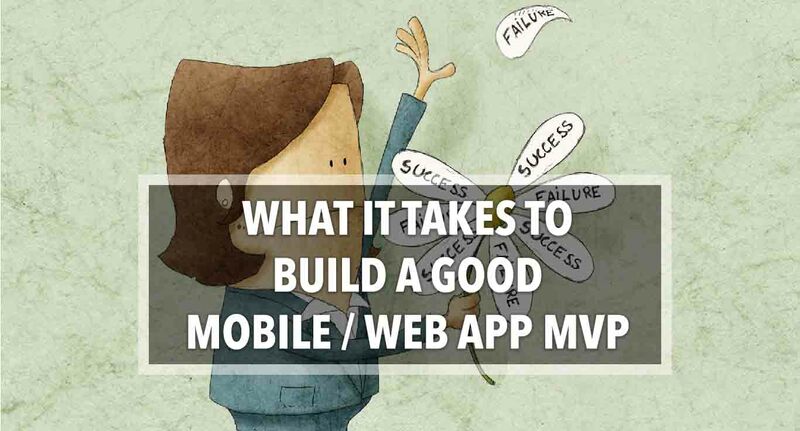 While developing a web or mobile app we make sure that it is “Minimum Viable Product (MVP)”. The MVP’s are developed consisting of basic functionalities which will be sufficient for good sales of the product. Planning about which features should be added in your mobile and web application is stressful. It should get into the MVP criteria. And we should develop our product by considering the target audience. Things that need to be taken care of, while developing your MVP. When you develop your product, make sure that to whom you are selling it. Understand the user needs and then record information about their pain areas. Keeping that in mind introduce such attributes in your app which can be beneficial for your target audiences. For that you have to do research among targeted segment of people, later you can pen it down those requirements. You can even ask them for suggestions. Mindful of running ideas resulting that, we want to put every feature in our MVP. Please don’t do that. First of all understand which one is sufficient and must. Separate the list of features on the basis of primary needs and secondary one. Now, take the secondary list and try to cut down the features. The primary list is definitely a core features which we cannot remove this would substantiate our product itself. And secondary list after cutting down the features if you feel that they are must then you can add that. Remember one thing that your focus is not the number of features in the list. Rather the question is “how good your MVP can be with sufficient features?”. The more simple the more better. When you develop your MVP make your designs less complex with high UX. and simplified designs. Use those designs where you need not to invest much money but don’t go for cheap designs. Plan for economic services. After much research you collaborate with the technical developers for usage of apt technology. Technologies that can be less complex and less time consuming. This will give clarity of number of features to include in your MVP. Building app with repetitive features will help in increasing number of playstore apps by “+1”. It does not matter much for the users they can ignore your app easily. Many times clients approached us for app services we always suggested them to have a unique feature in their product then only it can hit the market. Try to introduce new feature that does not available in existing products. Then launching your MVP will be success. Don’t add same old features which are there in every app available around.